To check out the beach that is just 100 meters from where your door go to the Coastalwatch website and click on Surf Cams - New South Wales (left hand side), then click Lennox Head Beach. Our guests feel completely spoiled in this relaxed accommodation, surrounded by beauty and the discerning warm touches found throughout the house, including original artworks and luxurious furniture. 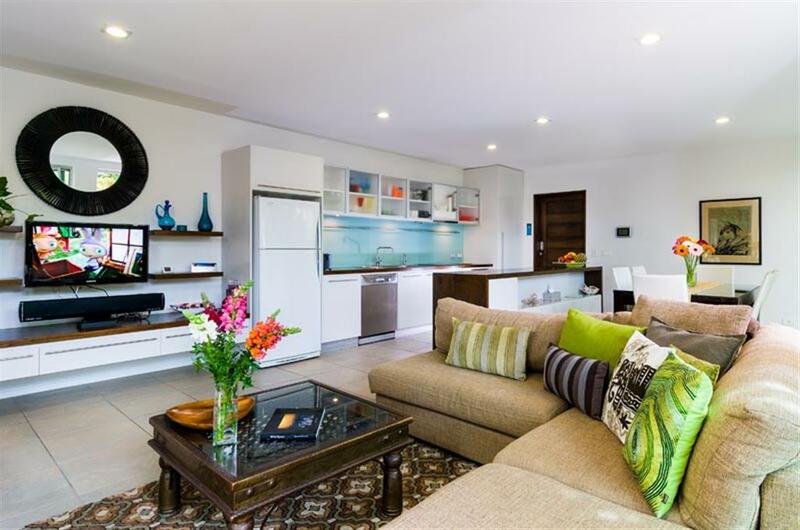 The perfect holiday home for family and friends to relax and unwind all year round, with everything the area has to offer right at your fingertips. 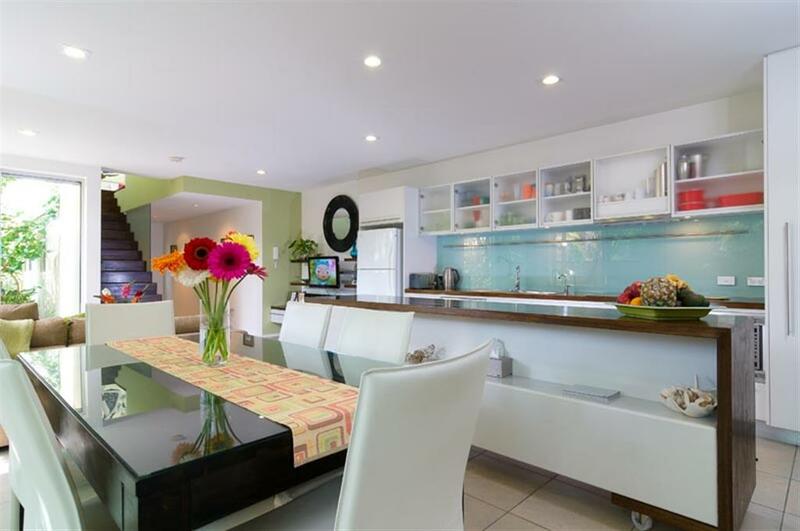 An array of restaurants, shops, cafes, IGA supermarket, butcher, bakery, market and pub all in walking distance. The local Ballina/Byron Airport is only 15 minutes from Lennox Head. 1 hr to the Gold Coast Airport. 20 mins to Byron Bay. 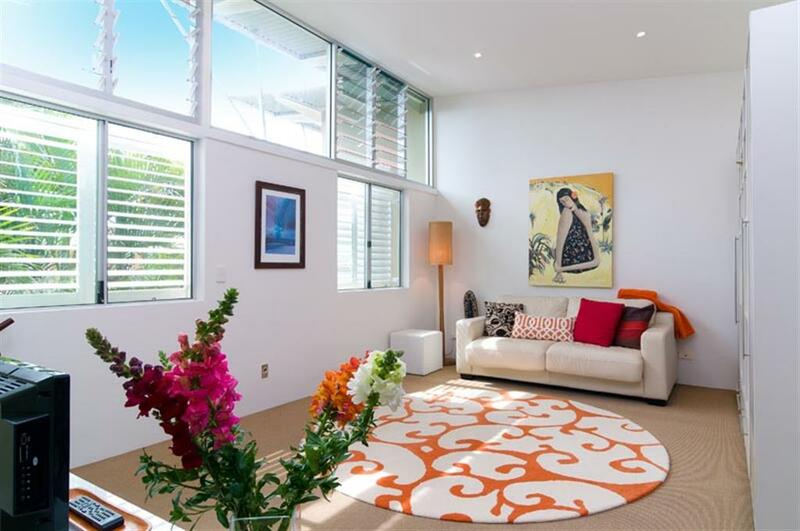 Your Home - Modern Coastal Living. 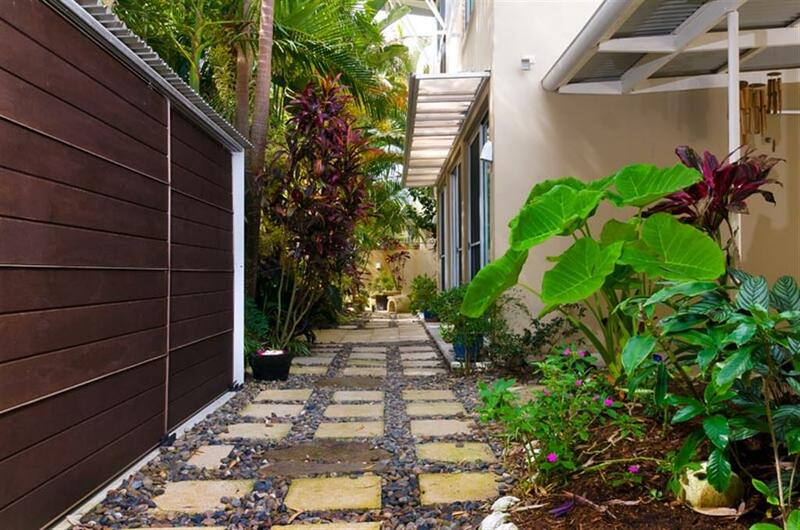 Once within the private courtyard, the entire lush garden and the dining, living, and kitchen areas become one in a bright, open floor plan. 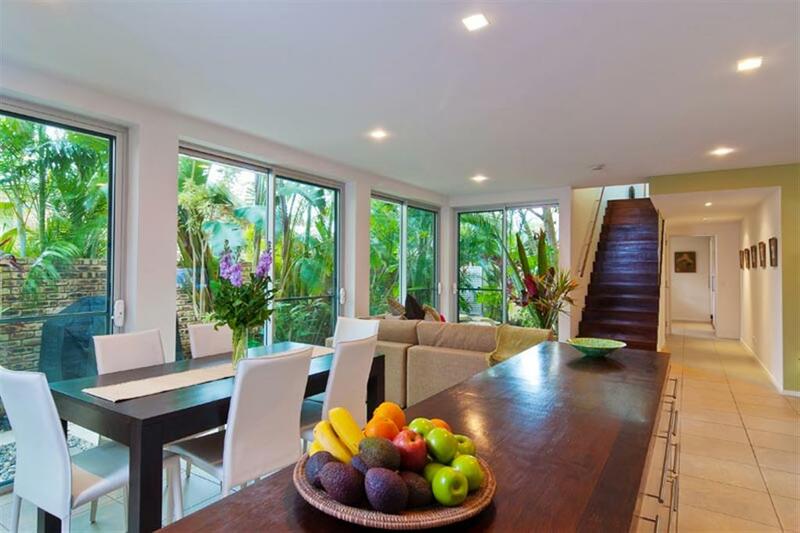 With the floor to ceiling glass walls designed to catch the cool ocean breezes, this light filled home provides the perfect blend of indoor and outdoor living at the beach. You are within your own tranquil sanctuary. 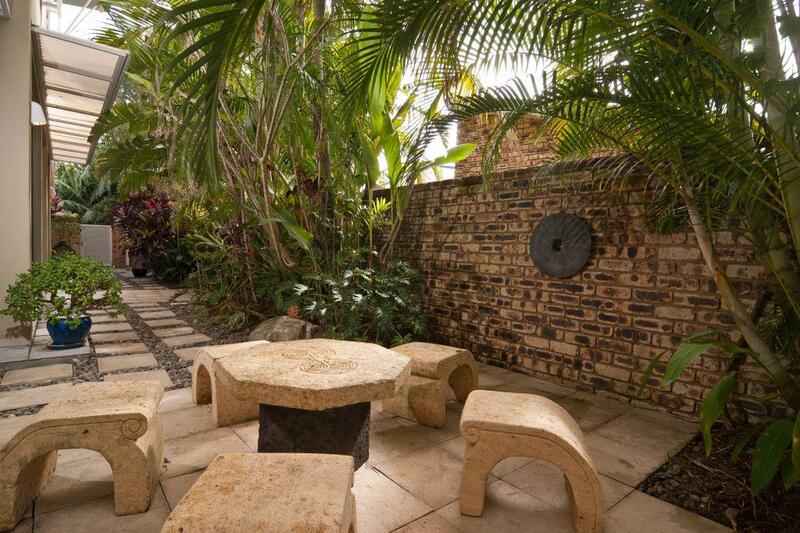 The garden courtyard space is secure, lockable and child & dog friendly. Cooling in summer and flooded in northern winter sunshine. 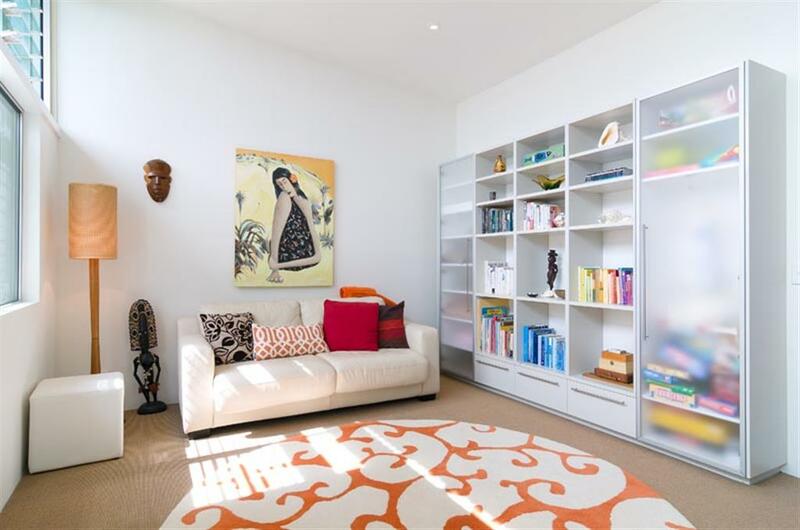 Upstairs, revel in the light filled sunroom with a pull-out double sofa-bed (if required) and second TV/DVD & library. 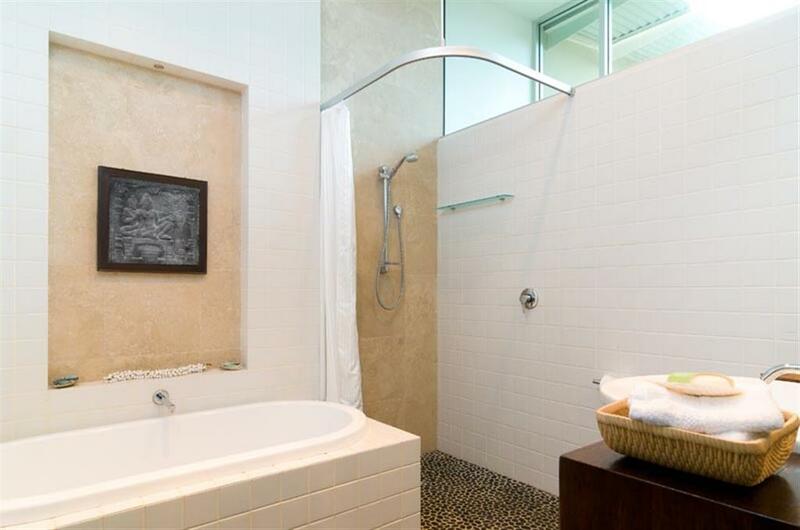 Off the sunroom are two bedrooms and an elegant bathroom with a deep soaker bath. 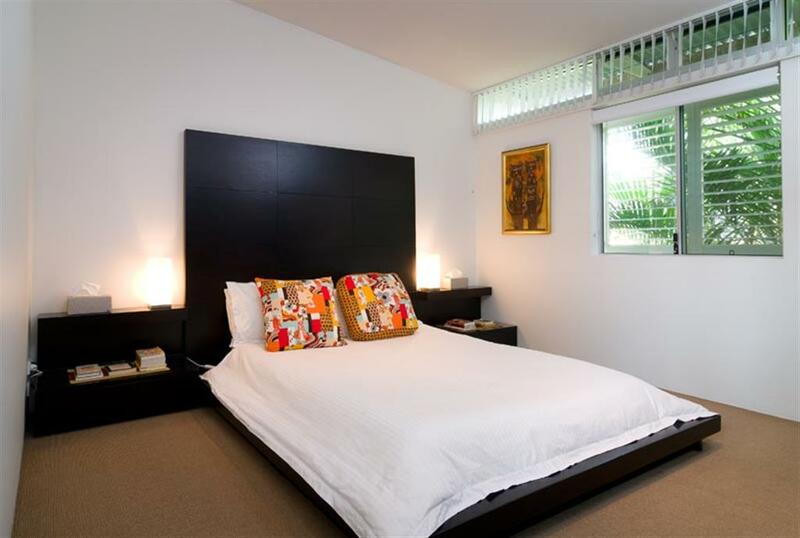 The master bedroom has an Asian style low queen bed with air-conditioning. 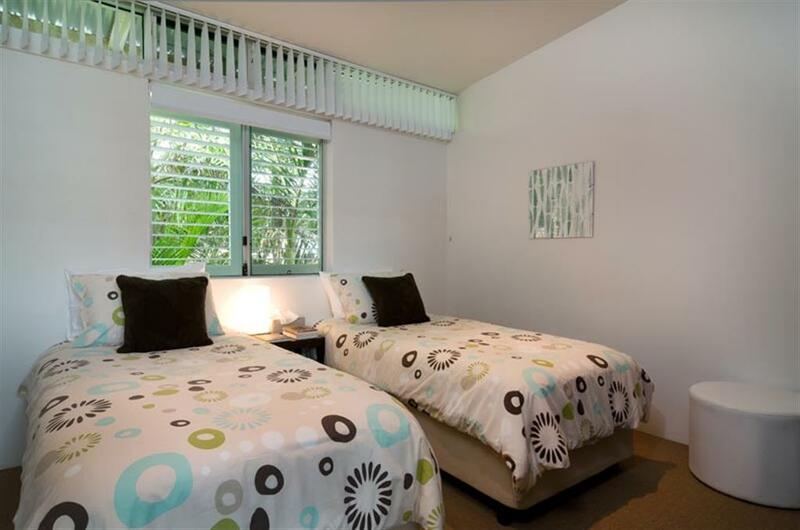 The second bedroom has 2 singles, converting into a king size bed on request and also has air-conditioning. For very young guests we provide complimentary high chair and portacot. A toy cupboard and games is provided, along with children's cutlery, plates & cups. Free WiFi for the teenagers. We guarantee if the kids are happy, then you are. 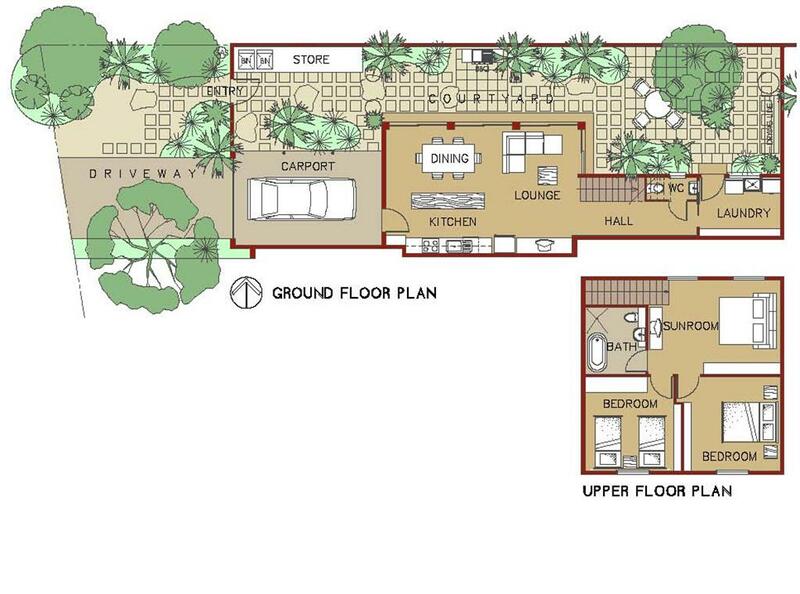 The carport is accessed by remote control garage door and separate secure storage is provided for boards & bikes. Location, Location, Location! LakeSong's location is perfect for all our guests, we have everything right on our doorstep, the beach, lake, shops, restaurants, pub. Put the car away and enjoy walking to all that Lennox has to offer. 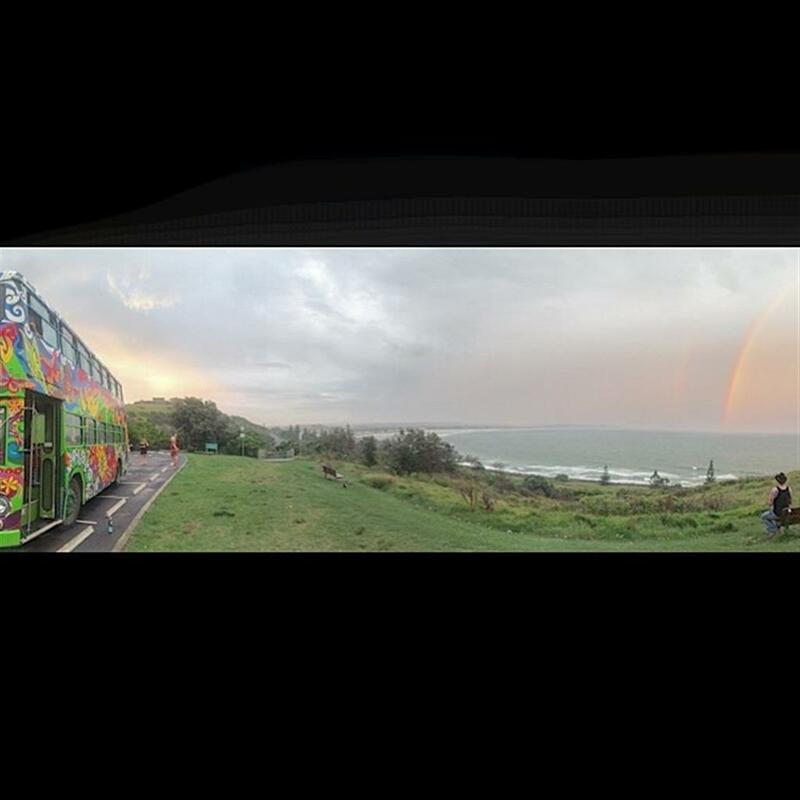 The surfers know Lennox Head for its internationally famous right hand point break, and the hang-gliders love the place for the sensational views when they take off from Pat Morton Lookout and many generations of children will know the tea tree freshwater Lake Ainsworth’s. Add to this the fishing enthusiasts and the Byron locals who often find Lennox a quieter seaside place than their own bustling town for a good meal or coffee (it’s just 15 minute’s drive south) and you can see why the locals love the place so much. 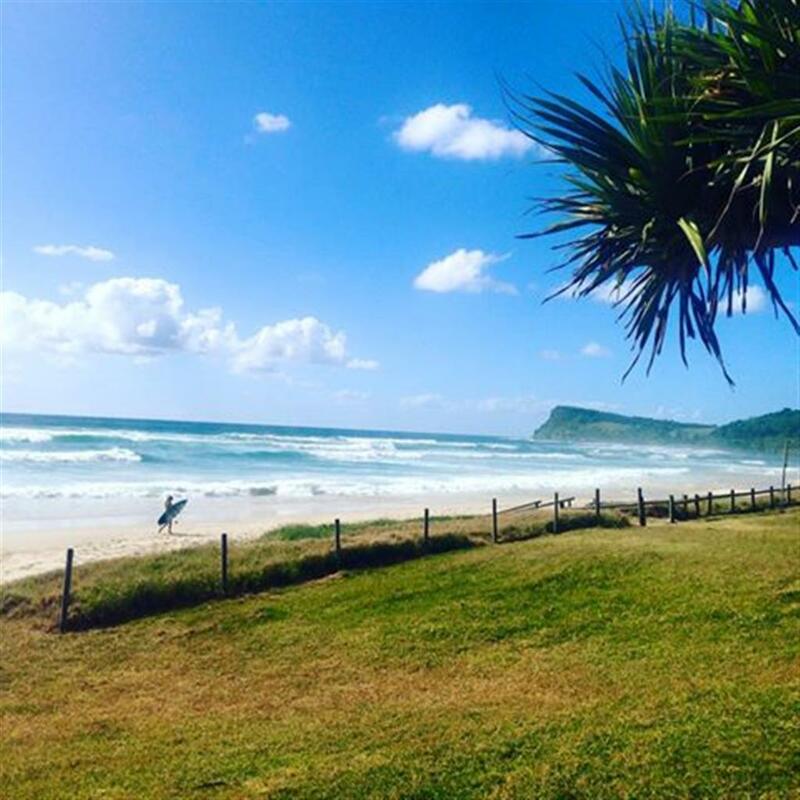 Lennox Head has a great coastal village atmosphere, with a main street full of boutiques, cafes, restaurants, post office and supermarket and a long strip of park adjoining the beach opposite, the perfect place for sitting in the shade of the pandanus palms and enjoying fish and chips. 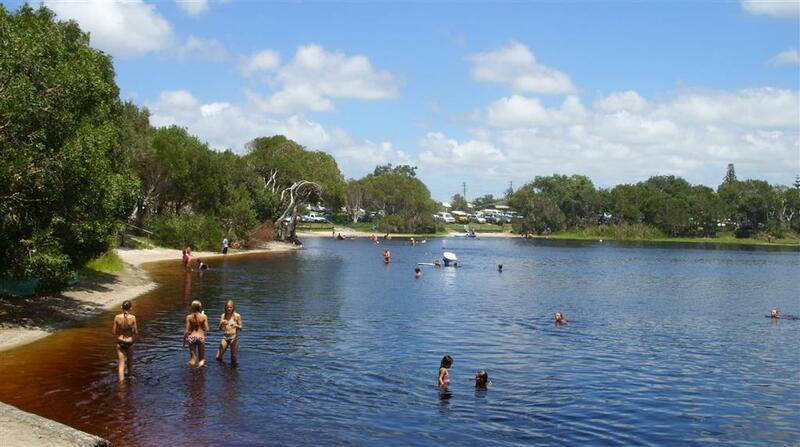 Lake Ainsworth is very popular, with excellent picnic facilities and craft for hire, as well as being good for sailing. The waters are reputed to have therapeutic qualities, and the area provides the backdrop for the Lennox Head Markets, which offer a wide variety of goods from handicrafts to tropical fruit and vegetables. Closeness to everything allows teenagers to come and go as they please. Spend your days exploring the cafes and shops of the village. 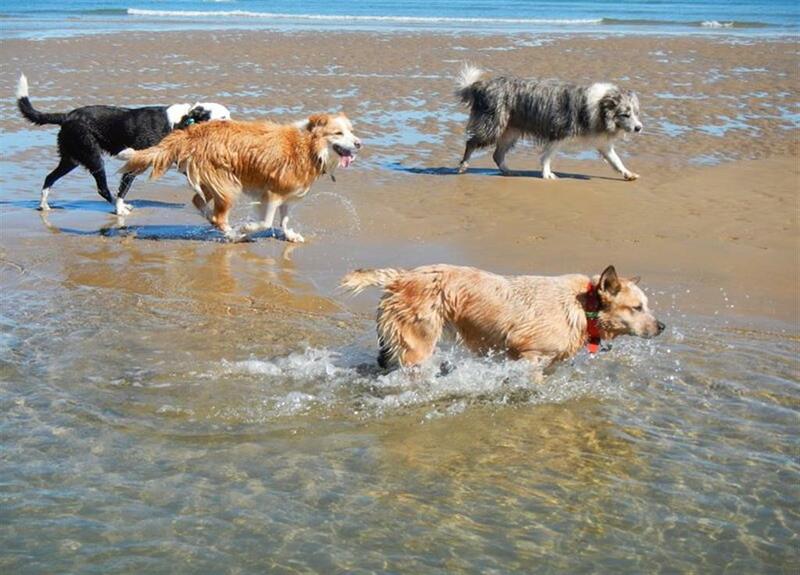 Take beautiful morning walks with your best friend the dog, run, swim or surf along the infinite Seven Mile Beach. The Ocean View cafe at the surf club is great family value, or pick up your papers at the friendly Bombora just around the corner and have a great coffee. A colourful and convenient market is held in Lennox every 2nd and 5th Sunday of the month. However, if you do decide to take a drive there are many vibrant surrounding towns, villages and rainforests that are renowned with many unique attractions and nestled in some of the most beautiful countryside Australia has to offer. 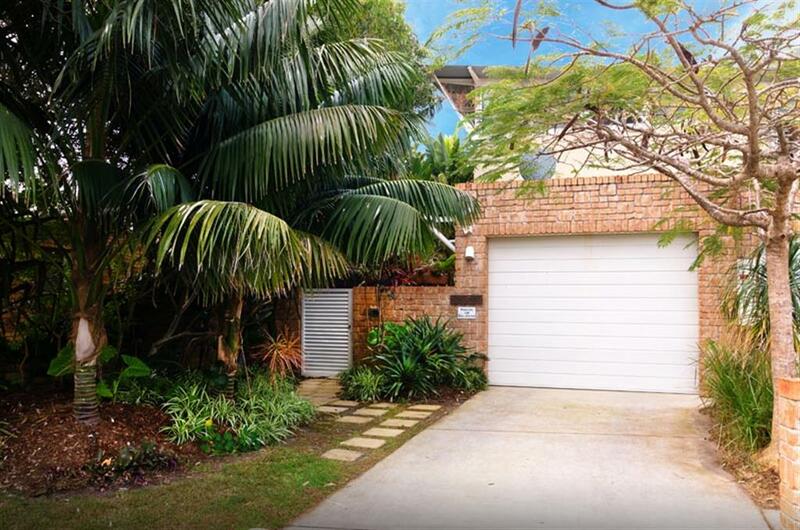 The original Byron Bay, Brunswick Heads, historic Bangalow, Mullumbimby and the iconic Nimbin are closely. Northern NSW is renowned for it's lively and unique markets. Locations are as follows.... meet friendly people & have a good time. Northern NSW Markets 1st SAT | Brunswick Heads 1st SUN | Byron Bay 2nd SUN | The Channon 2nd SUN | Lennox Head 3rd SAT | Mullumbimby 4th SUN | Bangalow Farmers Markets New Brighton Farmers Market every Tuesday (8am - 11am) Byron Farmers Market every Thursday (8am - 11am) Bangalow Farmers Market every Saturday (8am - 11am) Mullumbimby Farmer's Market every Friday (7am - 11am) Follow us on Facebook, please LIKE LakeSongPetFriendly and share with your friends. We will keep you up to date on current events in Lennox Head, The Northern Rivers & the Global village.